I am a textile artist now living in the Neath valley. I trained and worked in fashion design and specialised in shoe design Following the birth of my son, I became interested in quilt making and have since turned this interest into a passion that has lasted a very long time-over thirty years! My work is influenced by social and popular culture that most of us can relate to such as : consumer goods, the environment, popular culture and dieting. I hand dye my fabrics and paint with acrylic, working intuitively, I cut, fuse and layer the fabrics without using any kind of controlled grids or patterns-allowing abstracts and collage of highly saturated colour to emerge from this improvised working method. My large studio quilts, over 100 cm wide are suspended on the wall using simple batten method. Whereas smaller wall quilts and stitched wall collages under 100cm wide and stretched onto wooden frames. 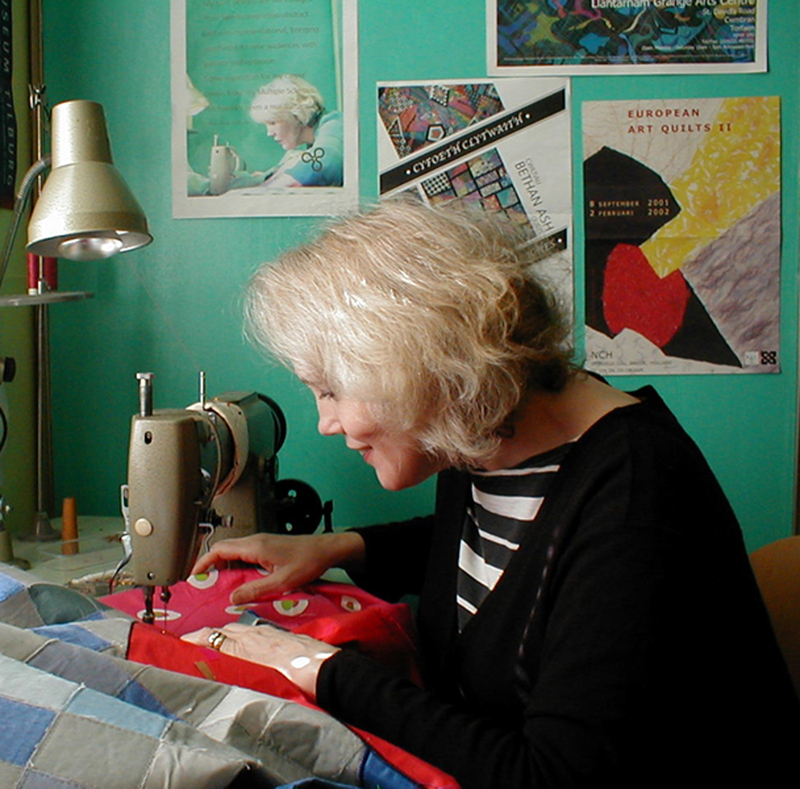 I exhibit my work widely and have written the book ‘Instinctive Quilt Art’ which is available through Amazon and high street shops. I give workshops and talks, have community based projects and am happy to work to commission-please get in touch for more information.